Subaru has one of the best all-wheel drive systems in the automotive industry and because of that “Subies” are the extremely popular choice of vehicles for the outdoors enthuses inst. Especially growing up in the Rocky Mountains you will see one what seems like every other car. That all-wheel drive system is perfect for snowy conditions with slick roads and can handle minor offroading if needed. But you really wouldn’t want to do any serious offroading. 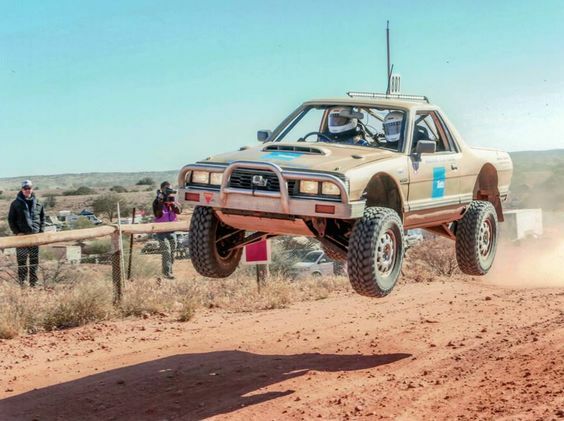 Heavily modified old Subaru Brat catching some serious air! That is unless you make a few small modifications such as taller shocks and springs, trim your front and rear bumper and maybe some all terrain tires. Really the only thing preventing a Subaru from being an offroader is the ground clearance. So once you’ve addressed that, all you need is a few things like skid plates for oil pans and differentials and you’d have a full-blown rock crawler on your hands. There’s a guy named Christopher Sven that’s taken that idea and ran with it, only he didn’t use an Outback Sport or something that already has decent ground clearnece. Instead, he used his incredibly unassuming 2011 Legacy 3.6R sedan and he didn’t just take it offroad. He took it to the off-road mecca known as Moab, Utah, which interestingly you will see two types of vehicles in Moab, Jeeps, and Subarus. Sven took his slightly jacked-up Legacy to the very popular Hells Revenge and got drone footage of the whole experience. 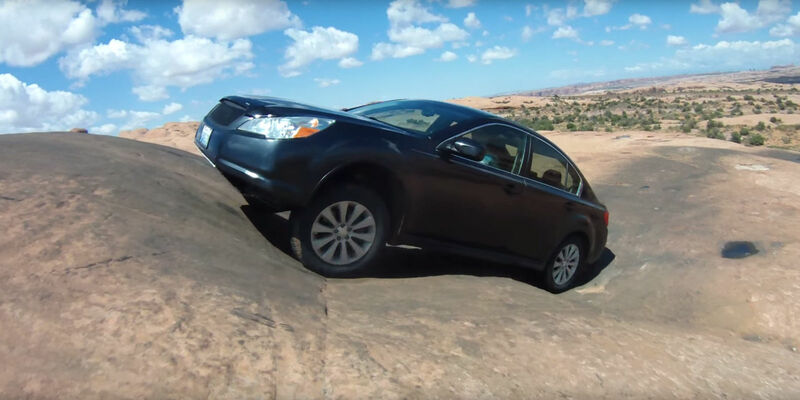 So sit back and prepare to be amazed at both the impressive rock climbing ability of the Subaru, and of course the beauty that is the slick rocks of Moab.